Are gamma ray bursts visible to a naked eye? 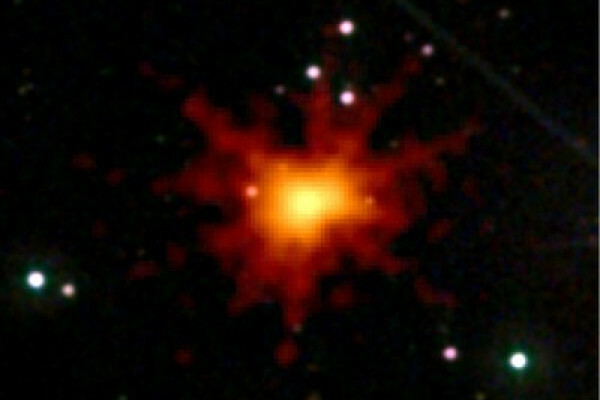 Is it possible to see a gamma ray burst in the sky? I saw something in the sky flash on and off one night. The retina in the back of your eye is sensitive to a very narrow range of what is called the electromagnetic spectrum. The electromagnetic spectrum contains all of the different wavelengths of light. This includes microwaves, x-rays and gamma rays, but you can't see any of them. Therefore, what you saw wasn't a gamma ray burst. Previous Is it true that someone's head would explode if you went out into space without a helmet on? Next Can gravitons escape from a black hole?